These stunning cobalt blue glass beads are even more vibrant in person! 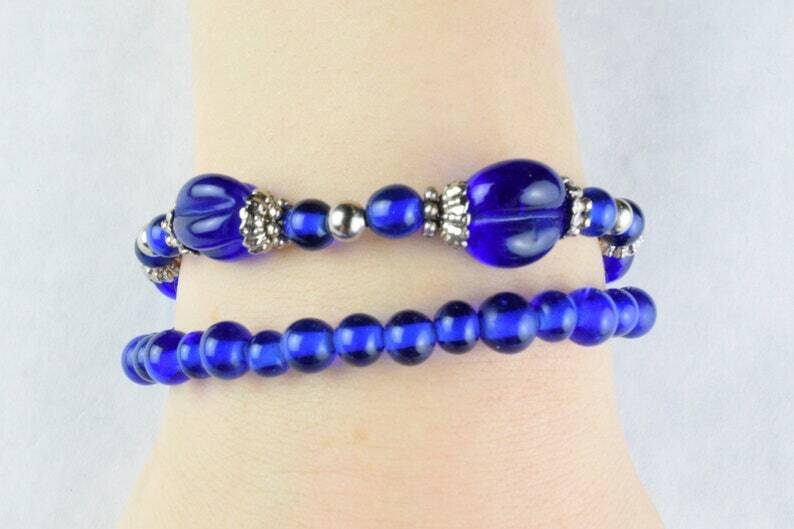 This bracelet features vintage glass wire-wound lampwork melon beads and round cobalt glass beads with silver plated findings*. These beads have a distinctive ridged surface giving them the look of a melon. Did you know? Lampworking is one of the more labor-intensive beadmaking techniques. These vintage beads have never been used. A retired bead wholesaler found these vintage beads tucked away in a forgotten corner of their warehouse. They were originally purchased during a trip abroad to Korea.